With the Base Table, designer Mika Tolvainen created a subtle and timeless table that is simplified down to its archetypal shape: "I wanted a table that has its own character, but does not impose”, the designer explains. The slim shape of the Base Table is given by the clever aluminium structure underneath the table. 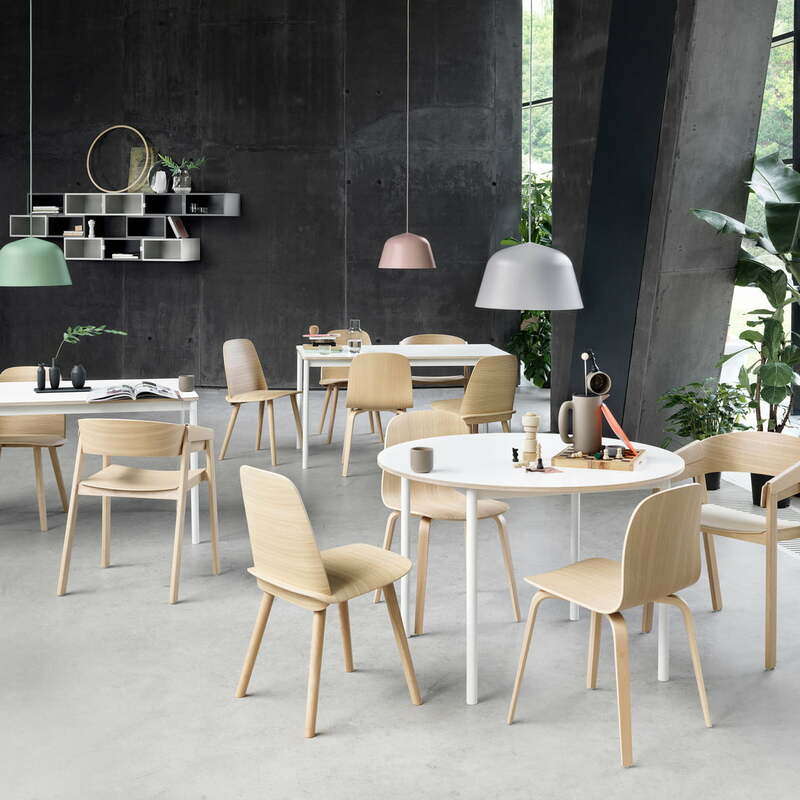 The dining table can be combined with various chairs and with a white or black tabletop. The white tabletop is available with a laminated surface while the black top has a linoleum-covered surface. 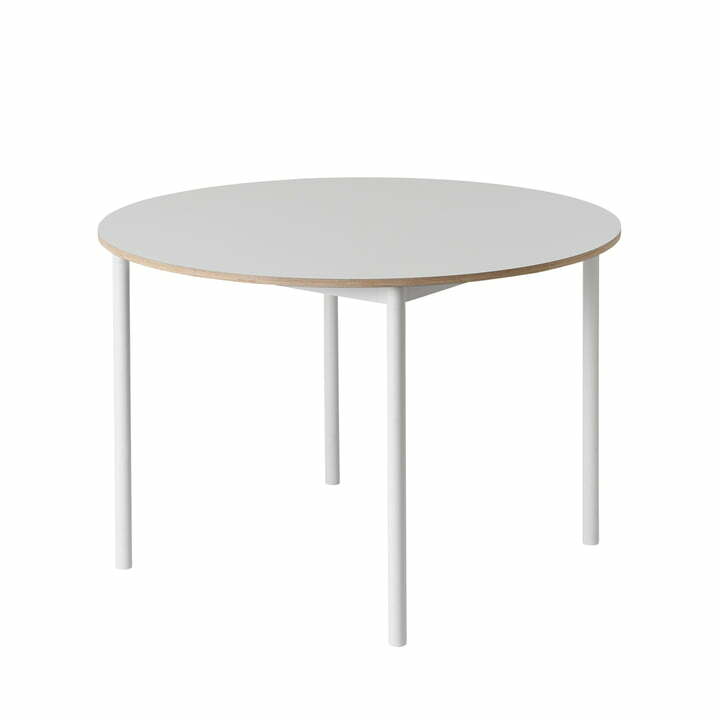 In both versions, the plywood edge of the table is exposed, so that the round silhouette is emphasised. 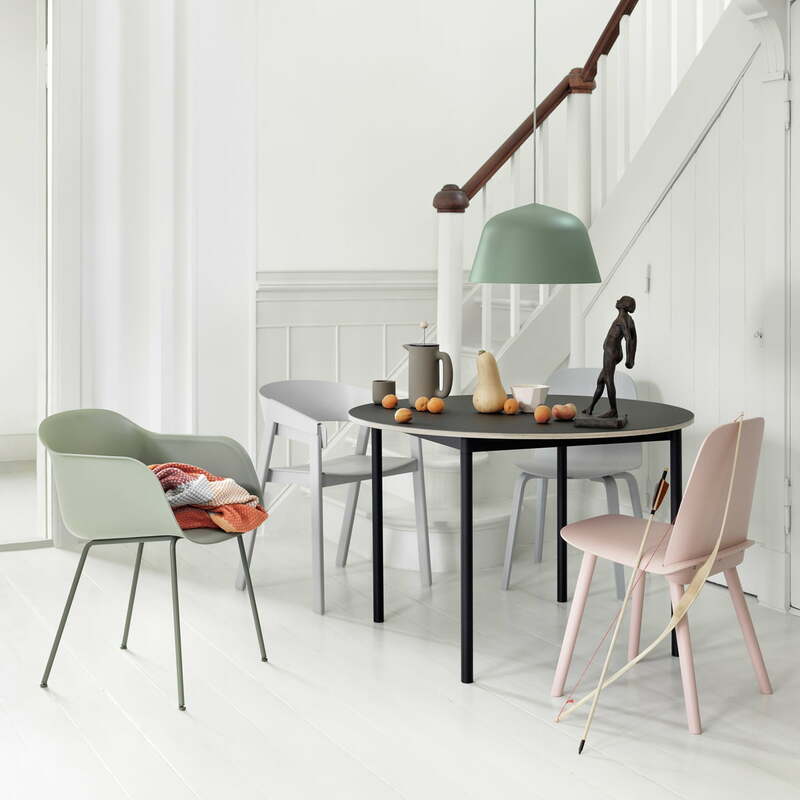 In different sizes and colours, the Muuto Base Table is also available as a rectangular model .